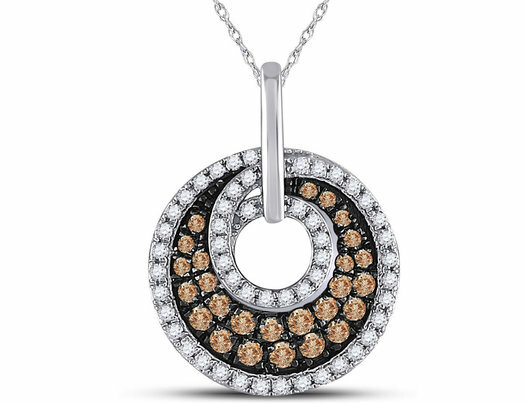 Gleaming round brilliant cut white diamonds encircle this pendant crafted from 10 karat polished white gold while champagne brown cognac diamonds fill the center of his circle pendants. Boasting 77 intricately pave set diamonds, this pristine pendant features an enthralling circular pattern. An 18 inch 10K white gold chain is included.